Edem and Pam Dzunu work in the Office of International Students and Scholars at Washington University. For Edem and Pam Dzunu, the desire to help others develop intercultural communication skills stems from personal experience. In 2009, Edem, who is originally from Ghana, came to Missouri to meet his then-fiancé’s family for the first time. The couple was shaken when Pam’s family immediately rejected Edem and refused to even talk to him because of his racial and ethnic background. Edem and Pam Dzunu, founders of Baobab People, joined Don Marsh in studio Wednesday. Pam quickly realized that her family and friends’ distrust of Edem was based on a fear of the unknown. Because they didn’t know anything about the place he came from, they were apprehensive about his relationship with Pam. Although Pam described this conflict as “inevitable,” she also said that it never caused her to question her relationship with her fiancé. What was Edem experiencing during this time? Although it took several years, Pam’s family eventually accepted Edem as they grew to understand him better and learned more about his background. “Truly they have fallen in love with Edem. I think my mother loves Edem more now than she does me,” Pam joked. 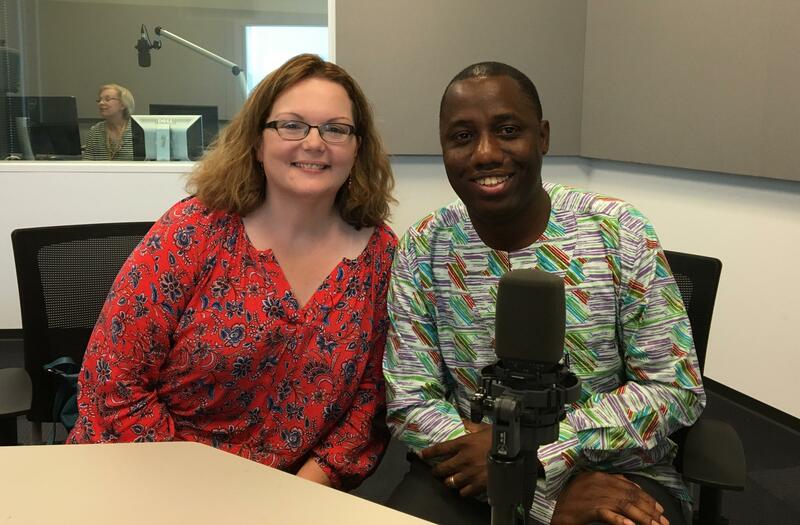 The Dzunus, who both work for Washington University’s Office of International Students, decided to start a non-profit with the mission of fostering dialogue that could bridge cultural divides like the ones that initially prevented Pam’s family from welcoming Edem. 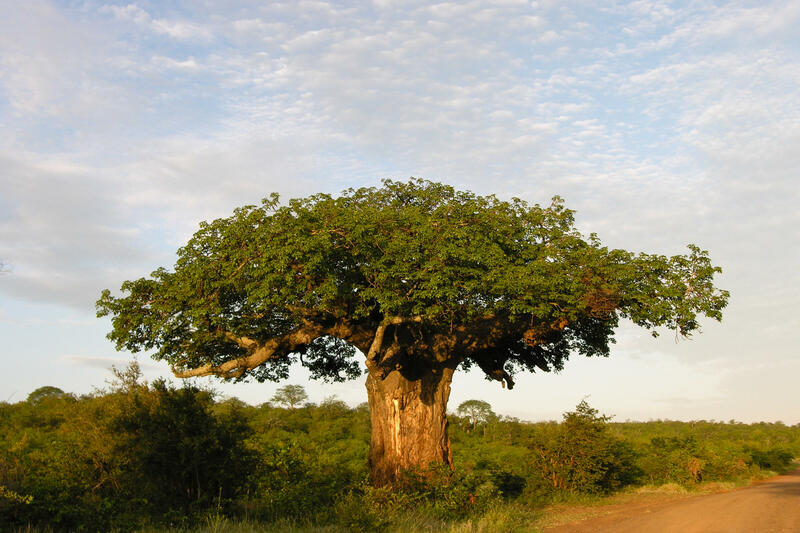 The Baobab tree is native to Africa and represents community and interdependence. Their organization, Baobab People, is named after the Baobab tree that grows in Edem’s native Ghana. Baobab trees are known for their extremely large trunks, which are impossible for one person to reach around by themselves. 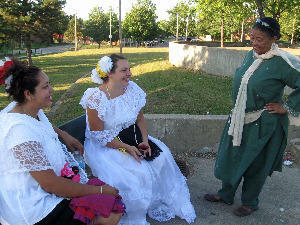 They symbolize the need for community and interdependence that define the work the Dzunus are doing in St. Louis. The foundation of community, as they see it, is communication. When Pam’s family and friends were telling her not to marry Edem, she realized they were not even willing to speak with him. The couple believes strongly in the potential for respectful conversation and education to bridge cultural divides, which is why Baobab People focuses on facilitating dialogue and learning. 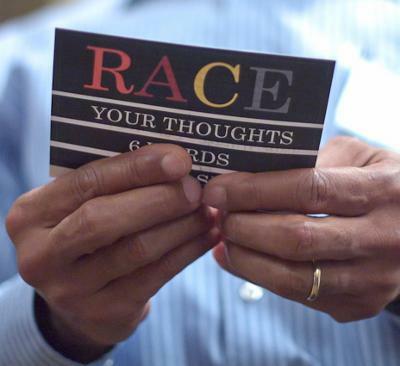 "We cannot put on display our fears in a way that will cause pain and hurt to other people." In creating spaces that allow people to dialogue in safe, productive ways, Baobab People aims to eliminate the fears at the root of intercultural conflicts. They have hosted a number of community events, the most recent of which was a conference workshop titled “Our Police, Our Community.” There are several more events scheduled for the fall, including an annual conference on cross-cultural communication and awareness which will be held at Saint Louis University in November. 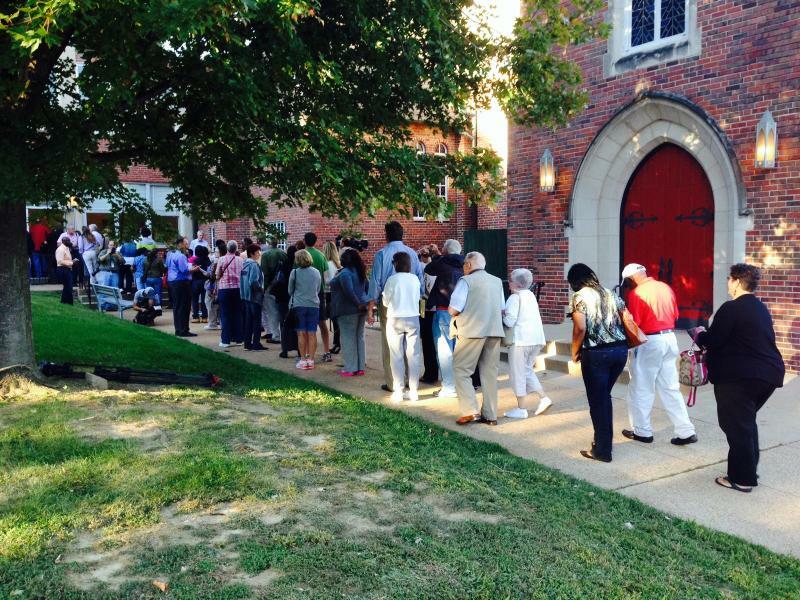 Diversity and racial tension were the focus Tuesday evening at Ferguson’s third town hall meeting. Ferguson resident Darci Knowles, who is related to the town's mayor by marriage, said those in attendance participated in small group activities where residents were asked to discuss stereotypes in Ferguson, white privilege and ongoing commitments to racial relations. Knowles, who is white, said the tone of the discussion was not contentious. 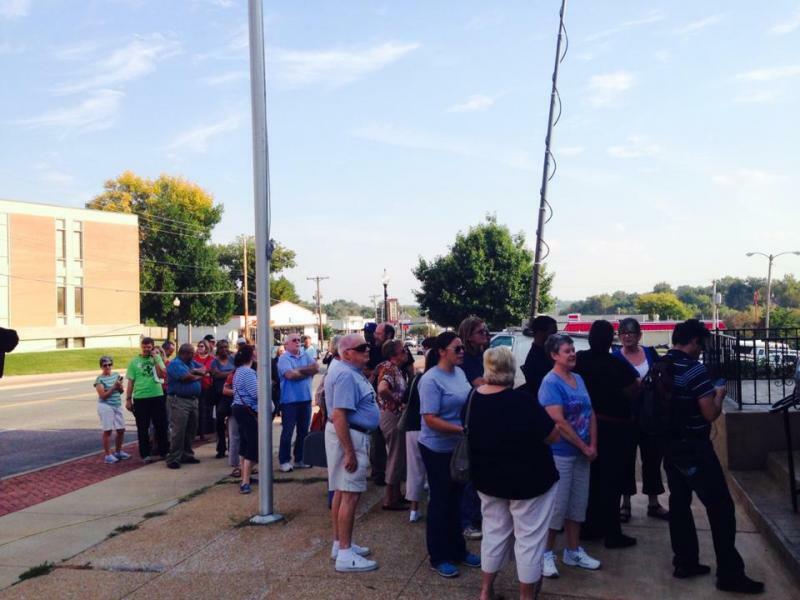 At Ferguson's second town hall meetings Tuesday evening, the issue was communication between Ferguson residents and leaders. Chris LaPorta, a resident who attended the meeting, said afterward that those in attendance discussed how the city shares information with the community. “Many of the folks have said they don’t have Twitter, they don’t have Facebook and they really need some other way to get their information,” LaPorta said. 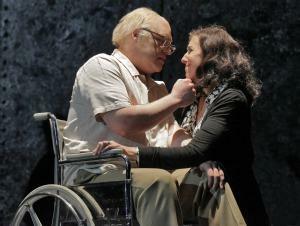 "The Death of Klinghoffer" drew protests Monday night at its opening in New York. In St. Louis Monday, faith leaders who had worked together in 2011 to create community discussion around the opera met again to consider the experience in light of Ferguson. They hope past conversations about social issues will inform public response to the shooting death of Michael Brown. These leaders view conversation a way to change the future. 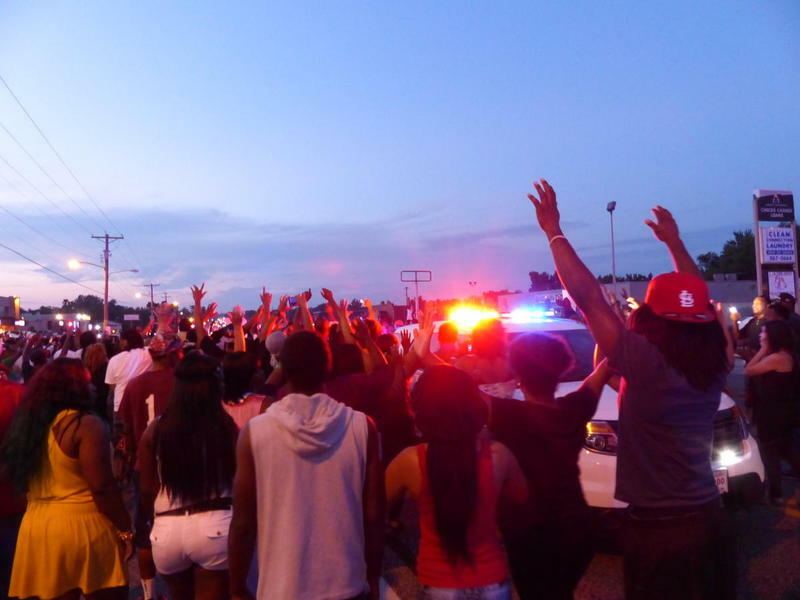 Recent incidents from Ferguson to Baltimore regarding police and community relationships have fostered other uncomfortable truths on the state of racial affairs in America. Many wonder what can be done to address the age-old issue or if there is any one particular act that will solve it. Karen Cox Miller seldom thought much about the growing presence of foreigners in the Alpha Garden and Alpha Village apartment complexes a couple of blocks west of her home near Hodiamont Avenue and Skinker Boulevard. On Sunday, however, she decided to get to know some of the new arrivals by attending the neighborhood's first Amherst Park Concert for Unity, which sought to build better relations between African Americans like herself and immigrants. Asking Dr. Marva Robinson: How should I handle divisive issues at the holiday dinner table? Turkeys are basted, stuffing is stuffed, the green bean casserole is in the oven—Thanksgiving is just around the corner. There’s just one more thing to consider: How should you handle difficult and oftentimes divisive subject matter that comes up at the Thanksgiving dinner table?